The Korean alphabet, Hangeul, was in use about 3,000 years ago, long before being invented by King Sejong of the Joseon Dynasty in the 15th century, a South Korean scholar claimed Monday. Lee Chan-gu, who studies a Chinese classic book on divination, claimed in his new book titled “Money” that he found two Korean letters, including “don” meaning money in Korean, on stone inscriptions of a knife-shaped ancient Chinese metal money. Known as a “pointed tip knife,” the money circulated in China in the middle or latter years of the Spring and Autumn Period (B.C. 770-476). Lee said he found one of the stone inscriptions in a 19th century book of a Chinese scholar of ancient Chinese currencies and the other in two other ancient Chinese books. 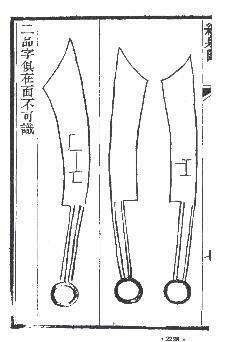 The knife-shaped money appears to have been made by pre-ancestors of the Korean tribe said to be living in the Liaoxi area, northeastern China, about 3,600 years ago, Lee said. “There is a passage in the preface of Hunminjeongeum that says Hangeul is an imitation of ancient Korean characters, an apparent confession by King Sejong that there had already existed Korean letters used by his forefathers,” Lee said, referring to a Chinese language document published in 1446 to give a brief explanation on the new Korean writing system. Lee, however, said his work is not intended to discredit the king. He said he wanted to prove that Hangeul was made through the restoration of ancient Korean letters and deny claims that Hangeul imitated Mongolian or other countries’ characters.